Below is a complete list of all the Costa Brava hotels in Llafranc. 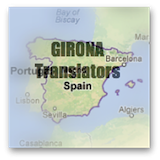 BUT before you look through the list of Llafranc hotels...please click here to open in a separate window...How The Hotel Costa Brava Accommodation Directory Works? Location: This family run charming Costa Brava hotel is located on a hill at the edge of the village of Llafranc, about 10 minutes walk to the beach. Description: Hotel Blau Mar Llafranc is a relatively new hotel with an amazing infinity pool (just check out the picture...what a view). It also has a large garden, terrace, breakfast restaurant (they can do light meals upon request) and a cafe/bar with a fireplace. The rooms are very nicely decorated, all have sea views and either a terrace/balcony or private garden, desk and free wifi. Location: This family run Costa Brava hotel is located in the beautiful village of Llafranc, a stones throw from the beach. 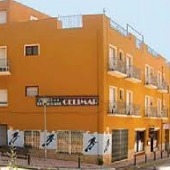 Description: Hotel Casamar has a respected restaurant, bar, terrace and wifi. The hotel runs promotions at different times of the year, so you may be able to get a good deal. Some of the rooms have small balconies overlooking the village and the sea, other rooms are interior facing or face out the back of the hotel. All rooms have central heating, tv, safe and a hair dryer. Breakfast is included in the price of the room. 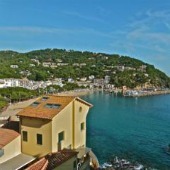 Location: This Costa Brava hotel is located in the village of Llafranc, 35 m from the beach. Description: Hotel Casamar is a simple hotel that serves breakfast. The rooms are clean and simply decorated in different colour schemes and have a balcony and heating. 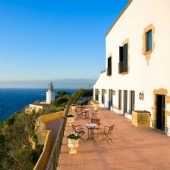 Description: El Far Hotel-Restaurant is a converted 18th Century building next to Sant Sebastia lighthouse. It has a very well respected restaurant, terrace, patio, inner court yard, bar, banquet room, meeting rooms, Mas Spa, car park, baby sitting service and free wifi. 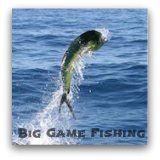 The hotel runs promotions at different times of the year, so you may be able to get a good deal. The rooms have been given marine decors, with 4 of the rooms having sea view terraces and the others having views out over the Emporda valley. All the rooms have heating, fans and desks. You can get married at this hotel (in the beautiful interior courtyard) - it would make an amazing location to have a wedding! 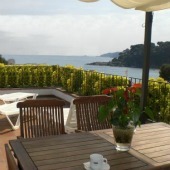 Location: This Costa Brava hotel is located in the village of Llafranc, 30 m from the beach. Description: Hostal Barraca has been in operation since 1950, and is a simple hostal. The rooms are basic and some have balconies. Location: This Costa Brava hotel is located in the village of Llafranc, right on the beach front promenade (so it can be quite noisy but the views are lovely). 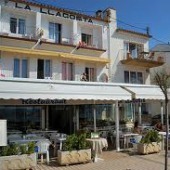 Description: Hotel La Llagosta has a restaurant, bar and terrace (all for general public use too). The small rooms have balconies with either a sea view or a street view and satellite TV. Llagosta is open from 1 March to 30 September. 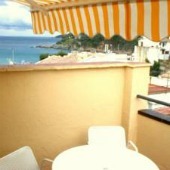 Location: This family run Costa Brava hotel is located in the village of Llafranc, 20 m from the beach. Description: Hotel La Muntanya is the sister hotel of Hotel Montecarlo and has a restaurant, bar, terrace, jacuzzi and wifi. The rooms have sea views and come with air conditioning, heating, satellite tv, balcony, safe and fridge. The top floor room has a private roof terrace. 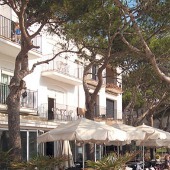 Location: This family run Costa Brava hotel is located in the village of Llafranc, on the corner of the promenade and the main square (so it can be quite noisy but the views are lovely), 5 m from the beach. Description: Hotel La Llafranch has been a hotel since 1958 and has seen some famous Hollywood stars walk through it’s doors (Rock Hudson, Sofia Loren, Kirk Douglas and Elisabeth Taylor) for it once legendary parties. It still hosts entertainment nights on Friday and Saturday nights in the summer months under the name of Cocktail Rambo (sounds potentially noisy, but no one mentions it in the reviews). La Llafranch has 2 restaurants (my brother worked as a waiter here when he was a teenager! ), 2 terraces, bar, lounge and wifi. The rooms were refurbished a few years ago to a good standard and come with air conditioning and tv. Some of the rooms have terraces with sea views. You can get married at this Costa Brava hotel. Location: This family run Costa Brava hotel is located in the village of Llafranc, right on the beach front promenade (so it can be quite noisy but the views are lovely). 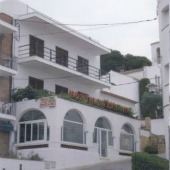 Description: Hotel Llevant has a restaurant, bar, terrace, free wifi, free beach towel use. The rooms are simple and attractive and come with balconies with either sea views or interior patio views, air conditioning, satellite tv, free wifi, desk, safe and hairdryer. Breakfast is included in the price of the room. Pets are allowed. Location: This family run Costa Brava hotel is located in the village of Llafranc, 45 m from the beach. 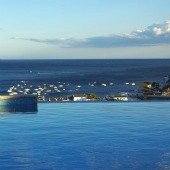 Description: Hotel Montecarlo is the sister hotel of Hotel La Muntanya and has a restaurant, bar and terrace. The rooms are rather old fashioned in decor but clean, and have either sea views or mountain views and come with air conditioning, heating, satellite tv, balcony and safe. Description: Hotel Terramar has a restaurant, bar, terrace, lounge, bathroom for use after check-out, mini-gym, baby-sitting service, parking, meeting room and free use of beach towels. The hotel runs promotions at different times of the year, so you may be able to get a good deal. The rooms have have been renovated and have air conditioning, heating, satellite tv, balcony (some with sea views), fridge, safe and hairdryer. You can get married at this Costa Brava hotel.